A sport of true athleticism. The highest levels of conditioning combined with the ability to jump through the roof, be completely agile, and special skill is an absolute necessity to move to the next level. A sport of true athleticism. The highest levels of conditioning combined with the ability to jump through the roof, be completely agile, and special skill is an absolute necessity to move to the next level. Through our systematic approach the SSP basketball specific program will prepare you for any league around the world. 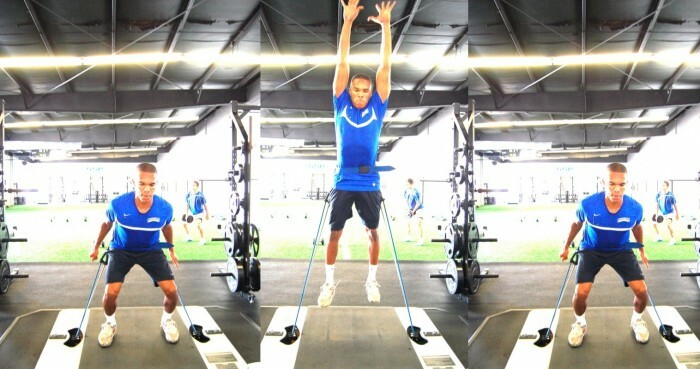 Strength: coordinating multi-planar and functional movements to support your performance throughout the season. Power: ability to produce maximal power through all planes of movement. Pre, During, Post Supplementation to ensure optimal performance during training sessions and competition. Educate athletes on how to fuel their body throughout an entire season and maximize their performance potential for all training sessions and competition. Corrective Exercise Prescription to eliminate poor compensation patterns and increase efﬁciency. Emphasize mobility to facilitate career longevity. Hydrotherapy to enhance the recovery process and maximize future performance. Education on advanced recovery techniques before and after training sessions and competitions.